Let’s face it you can ask just about anyone and they will know what an iPhone is and know about all its apps it offers. Unless your in the technology world you don’t know all the pros and cons of each device. 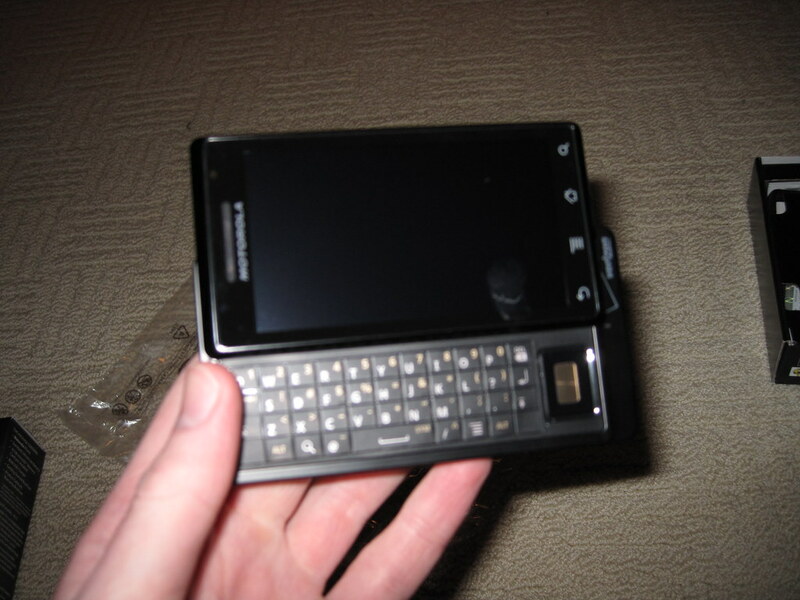 This Christmas I was gifted a Motorola Droid running the Android 2.0 OS by Google. Previously I had been a Blackberry Pearl 8130 user for 3 years. Both phones are on the Verizon Network and carrying the same type of required data fields and generally have the same variation of features. So currently I have had my Droid, as most call it, for just about 1 month and have found plenty of things I miss and don’t. Before I go on to the most important part of this article you must know my reasons for not using AT&T service. Throughout my life I have had every single major carrier at some point. I started with a prepaid phone on AT&T quickly switch to Cricket Wireless then to T-Mobile, Sprint and now Verizon. What I have found about AT&T is they always end up being more expensive of a service for my and our family use. We currently have three phones sharing 4,000 minutes, unlimited messaging and two internet enabled devices. Since the we have such a high plan coupled with we have always had at least one line on Verizon for the last 10 years they treat us very well. I am not about to give that up for a higher priced plan and arguably less coverage and service. When searching for a new phone as I have been for the last year I constantly considered the iPhone coming to Verizon and the new phones coming to the market but it was always a large disadvantage to choosing the best of the current bunch of phones. I knew in November after hearing about the release of the Droid and how many people were thrilled with it’s service that I would be either purchasing it myself or receiving it by January. There are many amazing features of the Droid and still many I can’t believe they over looked. Among the features I miss from the Pearl are spell check and a great prediction software. I can say with a certainly suretype on the Blackberry is the best text prediction software I have ever used. It learns from how you type, it learns from how often you use words and it still helps you spell things correctly. The Droids physical keyboard is very nice however there is NO I repeat NO spell check built-in on the Droid anywhere. You can download applications for spell checking but they will not work for gmail. Comparing the reviews of the Droid Keyboard I do not see it as bad as many say. While the Pearl keyboard was another keyboard that was widely critiqued and I had title issue with it. The Droid Keyboard has some room for improvement though. The keys could use a raised surface and that would make a world of difference. The biggest flaw in the Droid keyboard is the alternate keys. It has a row of numbers, then symbols, and finally random symbols mixed with often used characters. Overall in comparing what the Droid has vs what the Blackberry has is a world of difference. To conclude this article I am going to layout my Pros and Cons of the Droid in chart format. Market Size – There have been very few application that I have wanted that the market has not had. Open Market – Having an Open Market means you are open to so many more applications and you get updates quicker and more often. Open OS – Allowing modification of the OS allows you to do virtually anything you want with your phone you can imagine. Physical Keyboard – Love having a Physical Keyboard – Never been a fan of the Virtual Keyboards. Expandable Memory (16gb included to 32gb) – My biggest problem in the Blackberry was lack of memory. Spellcheck – Imagine sending important business emails without spell checking them, A major oversight! Multi Touch – Nowhere near as big as a con as I originally thought. Google knows all – Google with the Droid has your location, email, and contacts along with preference all in one device! Next: Next post: A glance at Social Media Marketing. Apple designs its own A4 chip for the iPhone and iPad (widely assumed to be manufactured by Samsung), but Android is more of a free for all. So you think designing your own chip makes it better? Here are apps for BlackBerry, iPhone, Android and Nokia Smartphones. … World Cup 2011 Google Doodle, Why Letter “G” a Batsman but ‘ .